Peach crisp is a wonderful dessert to serve anytime. Just add some ice cream to this crisp and you have a great dessert for friends and family. This peach crisp has lots of peaches and that makes it even better. You can use fresh or frozen peaches in this recipe. It is very versatile. I love this recipe for breakfast or brunch with coffee. It makes a wonderful afternoon snack with a glass of milk. Children will love peach crisp because of the sweetness of the peaches along with the crispy crust. Southerners love their peaches and this Southern dish is one you will make over and over again. Drain peaches reserving liquid if using canned peaches and spread in bottom of a 9 x 9 inch sprayed baking dish. Cream together butter and 1/4 cup of the sugar with mixer. Add the flour, baking powder and milk. Mix well. Spread over peaches with a spoon. Whisk together 3/4 cup of sugar, cornstarch, salt, nutmeg and cinnamon. Sprinkle this over the batter on the peaches. Bring the 1 cup of water or peach juice to a boil in the microwave and then pour over the peaches. Bake in preheated 350 degree oven 55 to 60 minutes. Serve with topping of your choice or ice cream. Makes about 8 servings. Enjoy! Don’t Forget to Pin Peachy Peach Crisp! Feel free to “share” by clicking on the Facebook, Pinterest or Twitter icons below. You can print by clicking on the green printer icon below. Thank you. This recipe is beyond special! Yes, I am sure you could double it, Jessica. Should this be done prior to spreading the batter or do you pour the juices/water over the batter. Btw I still love your page and recipes!!!! You pour the juice or water on last over the batter. Thank you. Happy you enjoy the page. I WILL BE SURE TO MAKE THIS ,I LOVE PEACH THANK YOU SO MUCH FOR THE POSTING… DO YOU HAVE A RECIPE FOR APPLE PIE………..I JUST LOVE YOUR BLOG.THANKS AGAIN!!! 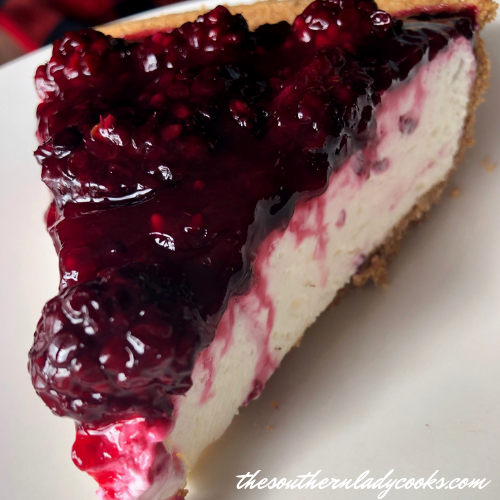 Just click on the photo of the pie on the blog and it should come up for you. I will be sharing this recipe with my produce customers this year. Looks absolutely delicious. Do I add the water BEFORE spreading the batter or AFTER spreading the batter? The water goes last, after the batter. It worked and is so so awesome! I am now in heaven 🙂 Now I need to get more fresh peaches and cherries!!! Thank You so much for sharing your recipes! Hi Dottie, So happy the recipe worked for you. Thank you for trying my recipes and being a part of this site. Have a great day. This looks great. I have tons of canned peaches and will definitely be trying this! Judy, this Peach Crisp looks wonderful, but I have a question. When you say pour liquid over peaches, do you mean over the topping? Thanks so much for all your recipes. I follow you on facebook…. Yes, Suzy, I mean over the topping. Thanks for coming by and I hope you enjoy this recipe. Thanks for following on FB, too. Judy this looks so good as they always are. Congratulation on the milestone, I am proud of you. Have a nice Christmas and gibe Tater Tot a Christmas hug. Thank you so much Margaret. Merry Christmas to you and your family. I will hug Tater Tot. I am always looking for excuses to hug him! Congrats, that is a milestone you have reached. I remember when I “discoverd” you and a wonderful biscuit recipe that you had put out. I’ve dropped by on a regular basis since then, love all your postings! Happy Ho;idays! Thank you Paula and thanks for coming by. Merry Christmas to you and your family. This sounds so very good! I love peach anything! Will definitely try this! Congratulations on your 10,000 mark! Phyllis, Thank you and thanks for coming by. Hope you and your family have a wonderful Christmas. MMmmmmm, this looks like summer in a bowl! I’m definitely going to make this; reminds me of Granny’s peach cobbler. Thanks for sharing. Looks wonderful, Judy. Congrats on the milestone. I am so excited to have just discovered your wonderful blog! I have lived in the south for almost a year now and adore it and am always trying out new southern recipes. I will be sure to try some of yours! Welcome! So happy to have you on my site and hope you enjoy the recipes.